Microsoft has teamed up with DocuSign to launch eSignature apps for Office 365, allowing users to digitally sign their documents without leaving Microsoft's applications. The partnership will mean streamlined administration for adding DocuSign apps for all users from an admin console, a single sign-on via Windows Azure Active Directory, automatic storage in Microsoft OneDrive for Business, and self-service access to the Office Store. Users will also get access to upcoming additional features from Microsoft and DocuSign. The integration of eSignature will apply to Outlook, Word, SharePoint Online and SharePoint Server 2013. "We're excited about the momentum behind Office 365 and customers making the transition from their traditional Office applications to all-new scenarios enabled by cloud services," said Keith Krach, chairman and CEO of DocuSign. "We believe Office 365 customers of all sizes will appreciate the seamless availability of DocuSign integrated into the applications they use every day. The combination of Microsoft and DocuSign further helps organizations keep business digital, and leverages the power of the cloud to help them focus on business results." DocuSign will be demonstrating the new features at Microsoft's SharePoint 2014 Conference in Las Vegas, which runs from March 3-6, as well as the DocuSign Momentum event on March 4-6 in San Francisco. 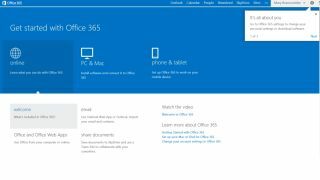 eSignature for Office 365 will be available in March.